As one might expect there are no chain hotels or motels in Yellow Springs. However there is a variety of eclectic accommodations in and near our exceptional little town. Click on photos to go directly to individual sites. A modern perspective on historic lodging in the heart of downtown the hotel 28 guest rooms, Southern-inspired restaurant, gift shop, banquet hall, and fitness center. This historic home is furnished with a fresh, clean modern look. The only B&B in Yellow Springs features six suites, each with private baths. The town jail, 1897 till 1929 is now completely renovated and one "cell" block from downtown. Suites feature private entrances, baths, WIFI, ROKU-TV, and kitchenettes. 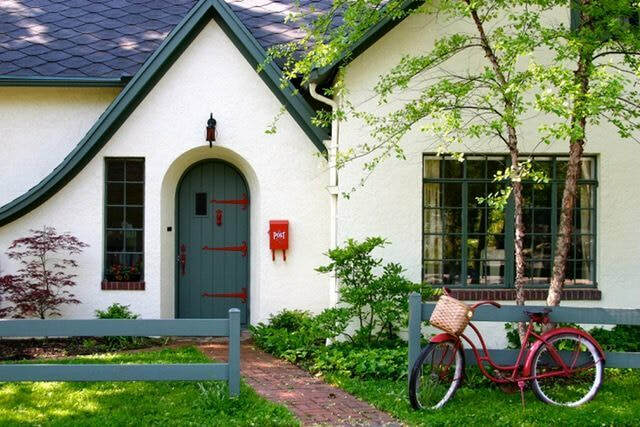 This 1800‘s cottage radiates charm with its’ relaxed and thoughtfully restored rooms. We provide everything, just bring your clothes and toothbrush. The perfect getaway place. ​A modern pet friendly efficiency flat, with vaulted ceilings, original artwork and lots of sunlight​ ​in the heart of downtown​.​ ​Just a short walk to shopping, dining, hiking and biking. This entire house is great for families or groups. Four bedrooms, 1.5 baths, large backyard, gazebo. Adjacent to Antioch College, four blocks from downtown. ​Since the 1950s a place full of funk and charm. We boast a fire circle with s'mores supplies, pet-friendly rooms, snack bar, and free breakfast. 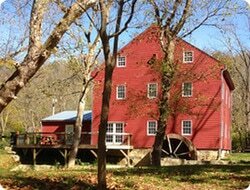 This restored mill on the banks of the Little Miami River is filled with original antiques as well as exquisite woodwork and comfortable period furniture. Located in nearby Clifton, this quaint 2 story cabin accommodates 6. A short walk to Clifton Gorge & Clifton Mill. Enjoy our beautiful garden too. You’ll have this beautiful fully furnished circa 1826 home on the Historic Howell Farm, "all to yourselves". ​Direct access to Little Miami Trail bike path. Acclaimed "A Visual Masterpiece", this lovely country inn features bike trail location, 20 sparkling rooms, Jacuzzi King Suites, WiFi, DirectTV HD, and an outdoor patio. Built in 1834, This beautiful home and barn features 4 large bedrooms, 3 full baths, spacious kitchen, living room and an amazing 2 story balcony! Conveniently located to Yellow Springs, The Air Force Museum, Wright State University, Ervin J. Nutter Center, The Mall at Fairfield Commons and a variety of fine restaurants. This restored 1815 cabin is surrounded by 65 acres of wooded hills and seven miles of trails. It sleeps six, with stocked pond & Screened porch. 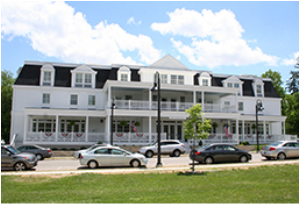 Simon Kenton Inn’s beautiful surroundings, fine dining, fully stocked pub, outdoor fire pits, and fantastic event space are just a short drive to Yellow Springs.